This was by far one of my favorite projects. Dana received this coat from her grandfather, who later passed away. She wanted to revamp this oversized coat into something she could wear to his memorial service. While we discussed options, I aimed to make sure the coat was revamped into a piece she could wear more than just once, and it sounded like a vest would fit her style and would get the most wears. 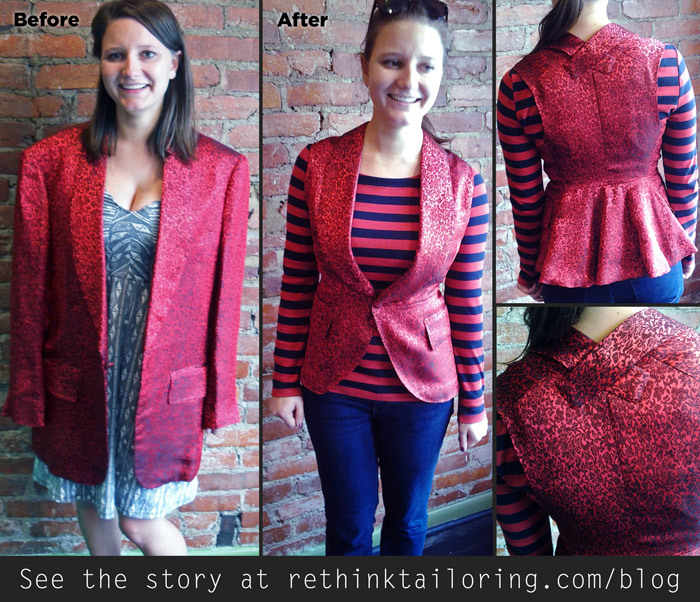 More specifically, we decided on a peplum vest to give it a little feminine flare. As you can tell, this piece involved A LOT of trimming down. 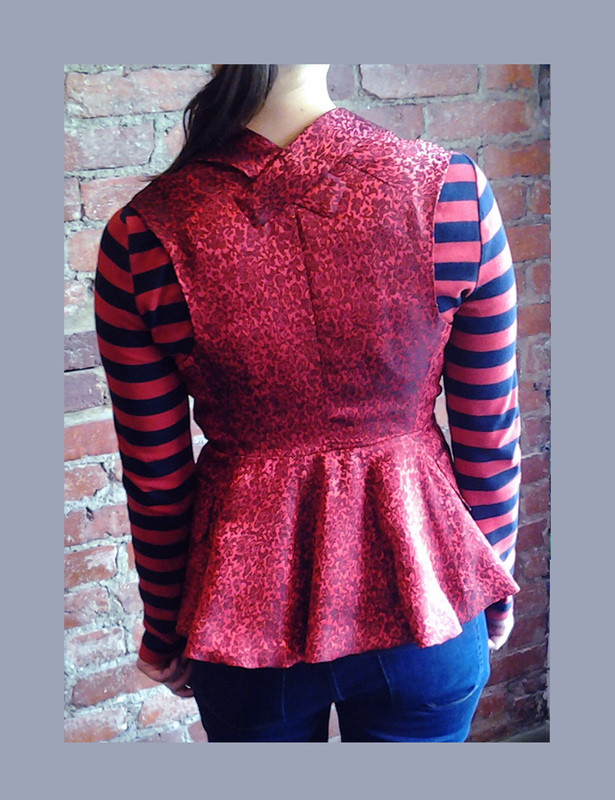 I literally cut it in half, used the sleeves to make the peplum flare, raised the collar through the back of the neck to bring that button to her true waist (see the cool detail at the neck that this created), and so much more.